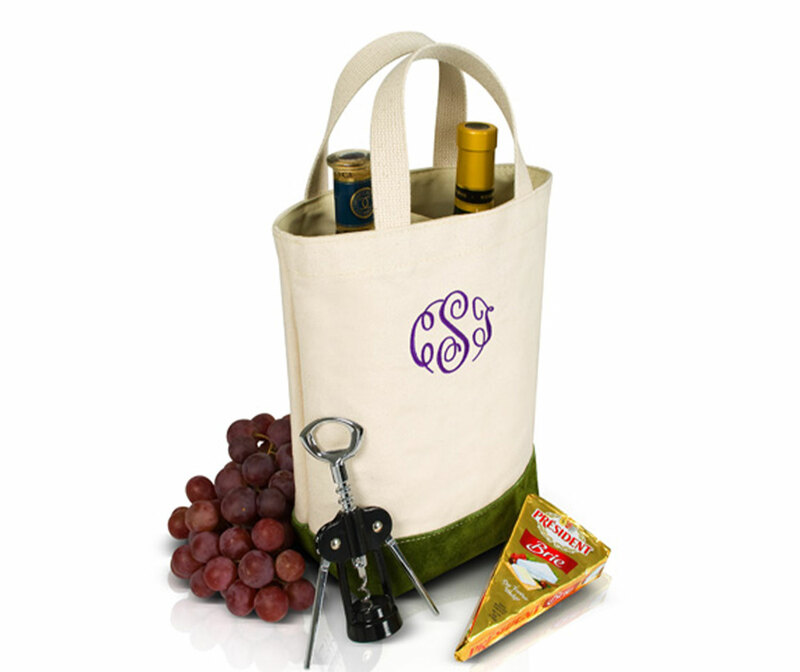 Our trademark classic canvas construction goes into this double bottle wine tote. Made with stand-alone 22oz. 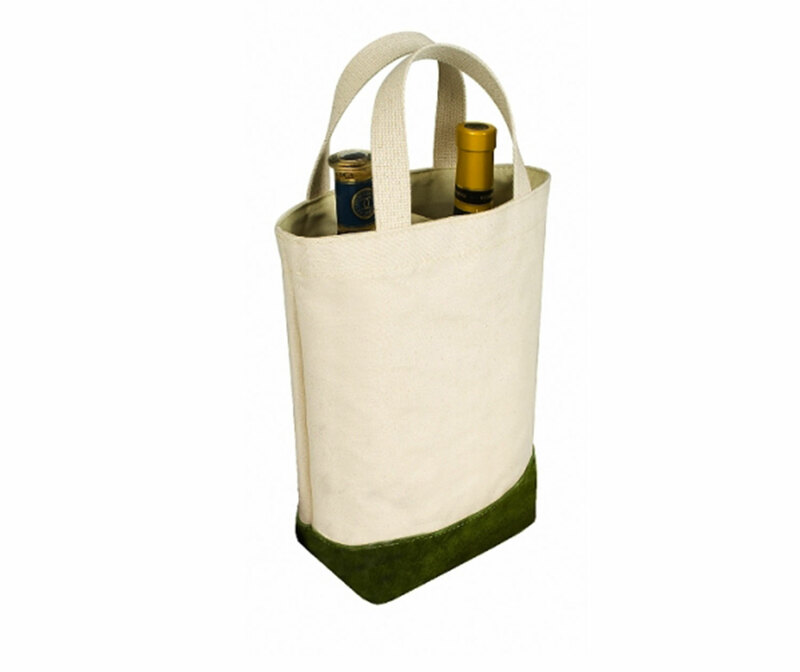 extra heavy cotton duck, this bag is fully lined with separate pockets for each bottle of wine. The bottom is accented with olive suede leather. Double handles are extra heavy-weight cotton webbing. Great presentation of wine gifts or useful for BYOB get-togethers.